As you may have heard, Paper Source is our new home for paper invitations and cards. We’re thrilled to be working with them and excited to share what’s in store (pun intended) for your favorite printed Paperless Post designs. The holidays are about sharing all those cute family photos you’ve taken. Weddings are about making good use of your engagement shots. Truly: we get the picture, and Paper Source does too. You’ll be able to place photos on the back and front of your cards and invitations alongside the same type designs and illustrations that you’ve come to love from us. 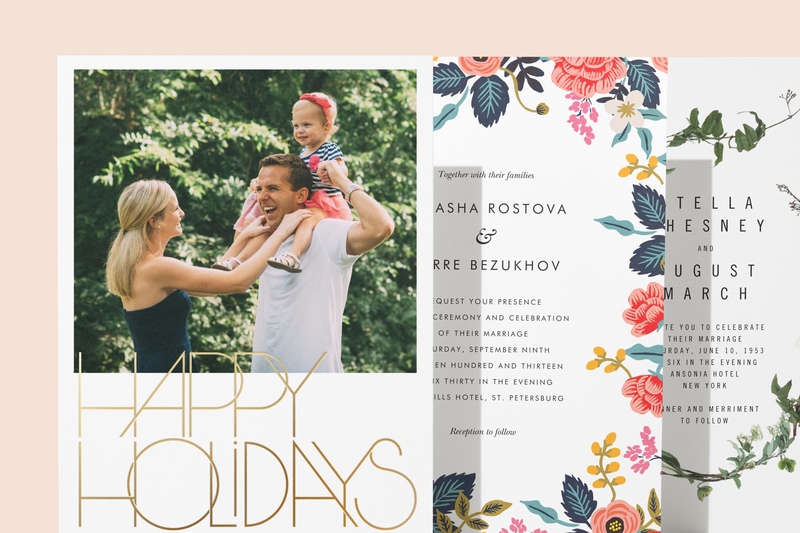 If your holiday card recipient list or wedding guest list runs to epic lengths, never fear. Paper Source also handles recipient addressing with aplomb. Just have a spreadsheet of your planned mailing list ready. Their name might give you an indication, but let’s be clear: Paper Source are paper experts. You’ll be able to buy even more intricate versions of our designs, including die-cut cards with rounded corners and other beautiful works of papercraft. They’ve also taken us into Technicolor: you’ll find envelopes in a broad range of colors as well as traditional white and kraft paper. 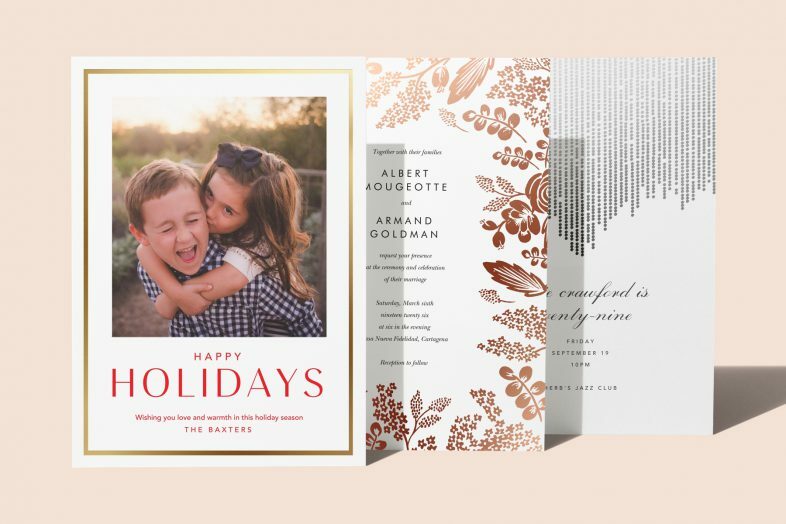 When we debuted gold, silver, and rose gold foil, we loved watching our users add their Midas touch to holiday greetings and year-round events. Now, we have the pleasure of doing it all over again: Paper Source offers all of our metallic options as well as luminous red and green foil, perfect for the holidays. Seeing is believing. So is feeling—and while you can do the former online at PaperSource.com, you’ll also be able to sample and touch our designs exclusively at Paper Source’s US stores. Get help from their team of design experts, so you can not only pick out the perfect invitation, but also pick out coordinating goods to go with them. 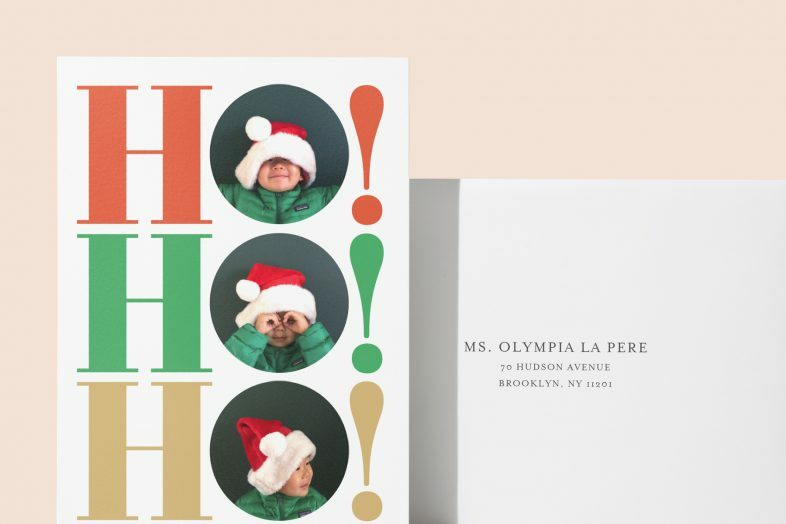 See everything we’re up to with Paper Source: browse our printed holiday card collection, our paper wedding invitations, and our exclusive online collection of Paper Source-designed invitations.